New Open Air Version of the World famous Superbooth. Updated open sleek design gives all guests at the party a glimpse into the excitement. New Open Air Version of the World famous Superbooth. Updated open sleek design gives all guests at the party a glimpse into the excitement. 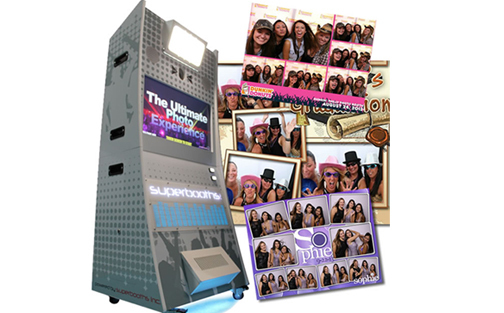 As the World’s first interactive photobooth it puts the users in front of a professional photographer who leads them through a six or nine-set photo shoot. The virtual photographer encourages and guides the users — and offers tips on how to strike a pose — amid a pulse-pounding soundtrack and a flashing light show. The photo-shoot experience is intensified when a powerful fan blows back the hair of the subjects (we’ve all seen shots where a fan was used to blow a model’s hair around). 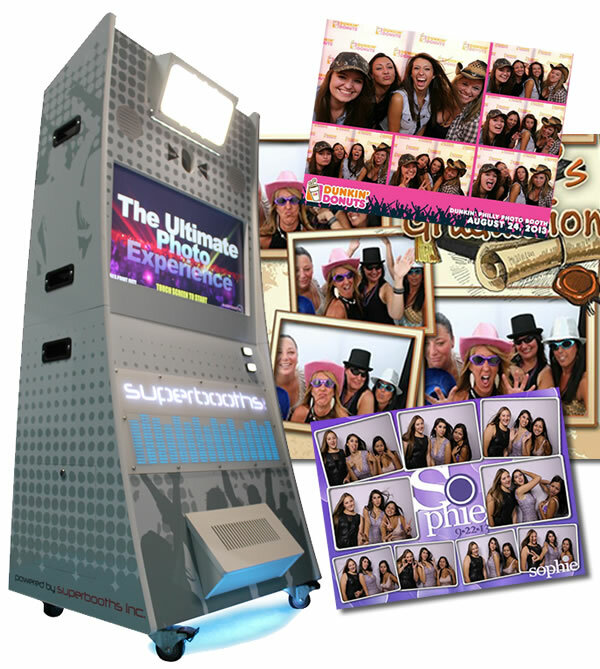 SuperBooth allows guests to select from five photographers and five backgrounds; once chosen, the photo shoot begins. An announcer reads instructions, which are complemented by graphics displayed on a 42″ HD in-booth monitor. The lights go up, the music starts, the fan blows and then the photographer appears. In 90 seconds, he directs the user through nine poses. A large interior capacity allows as many as eight guests to get in the picture.